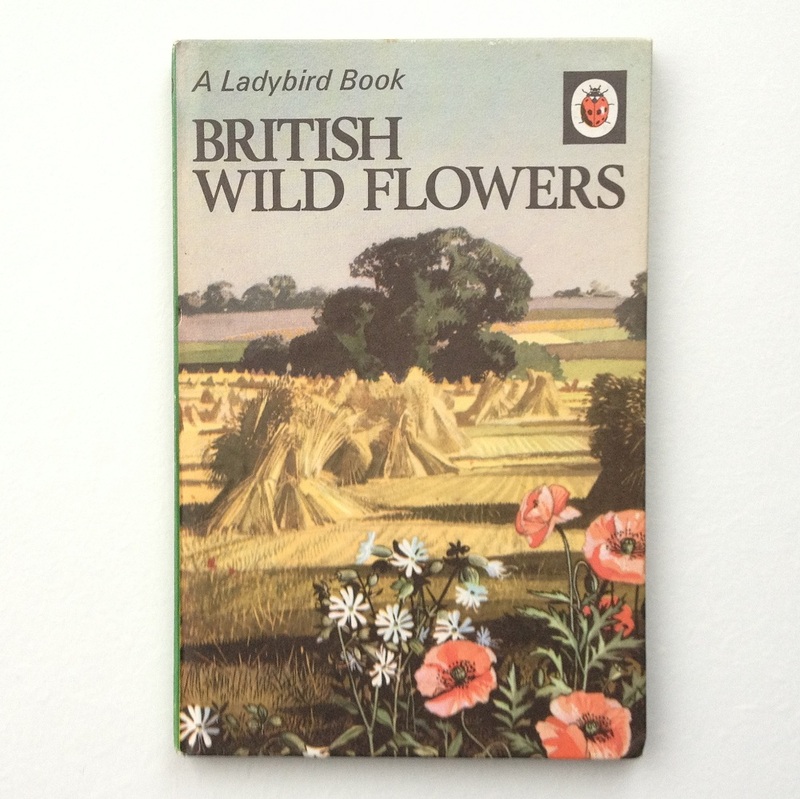 I am stocking some Ladybird books in The Granny Square, the selection will update and change as more become available. 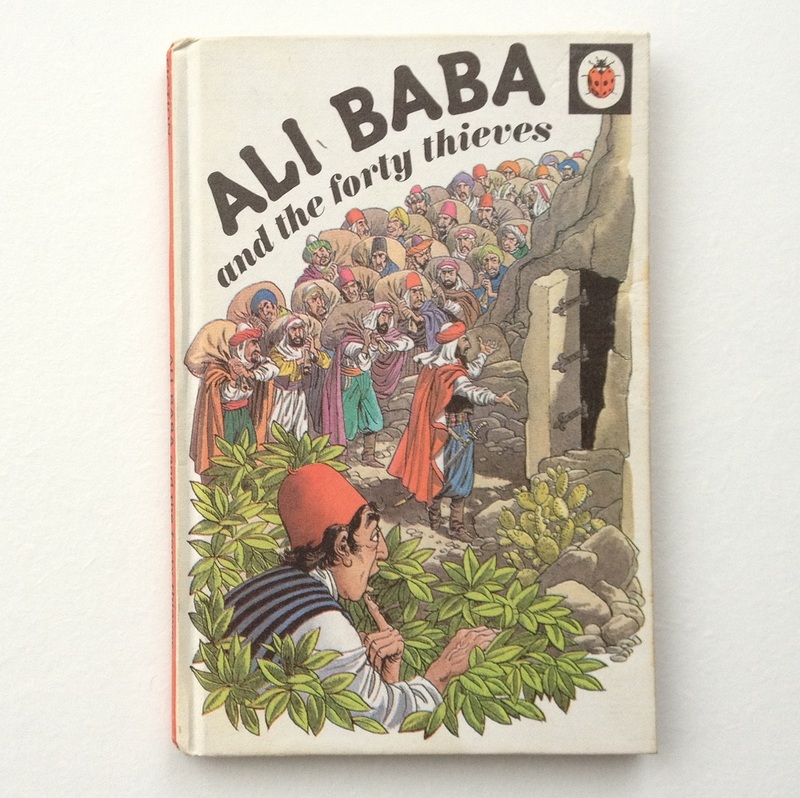 To start with I have British Wild Flowers, Ali Baba and the forty thieves, Trees, and Wild Life in Britain. 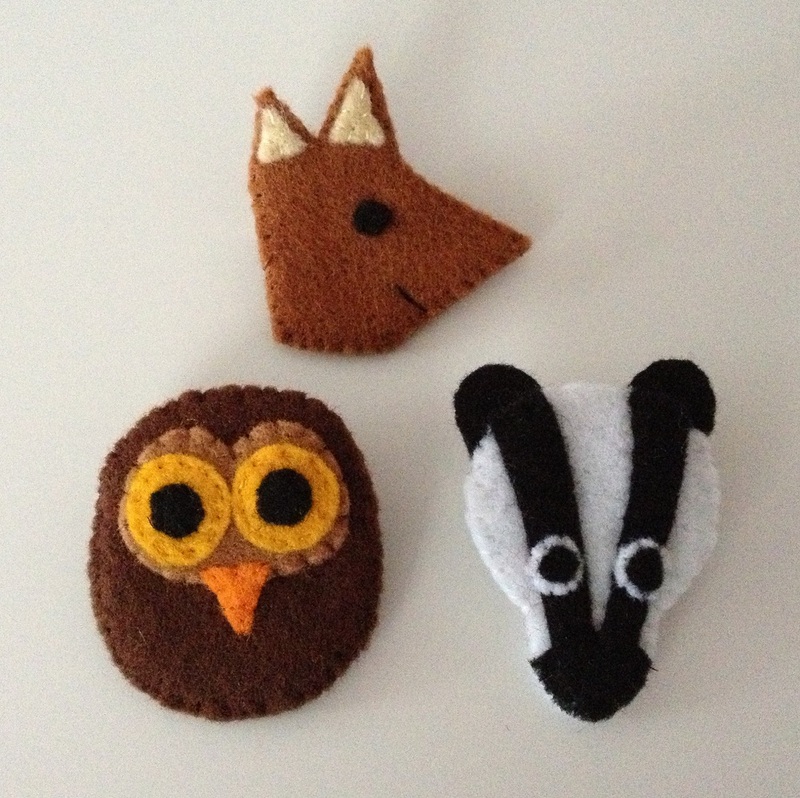 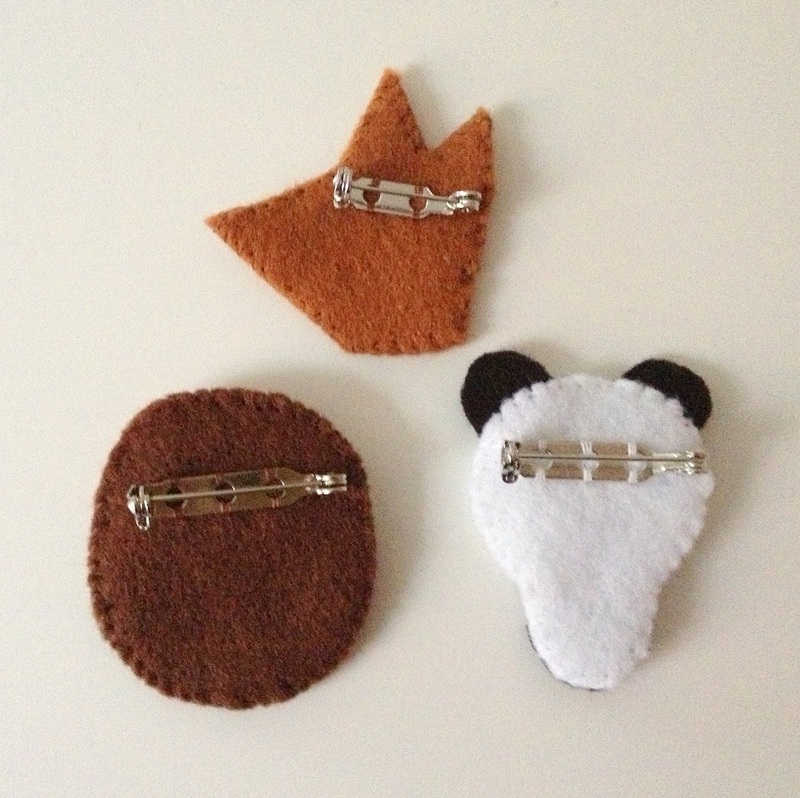 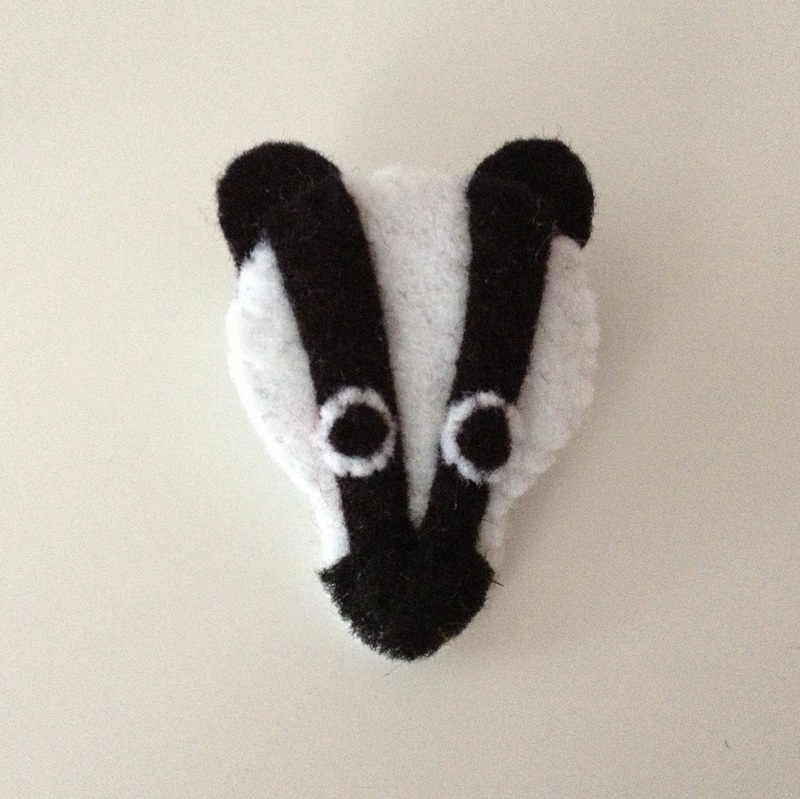 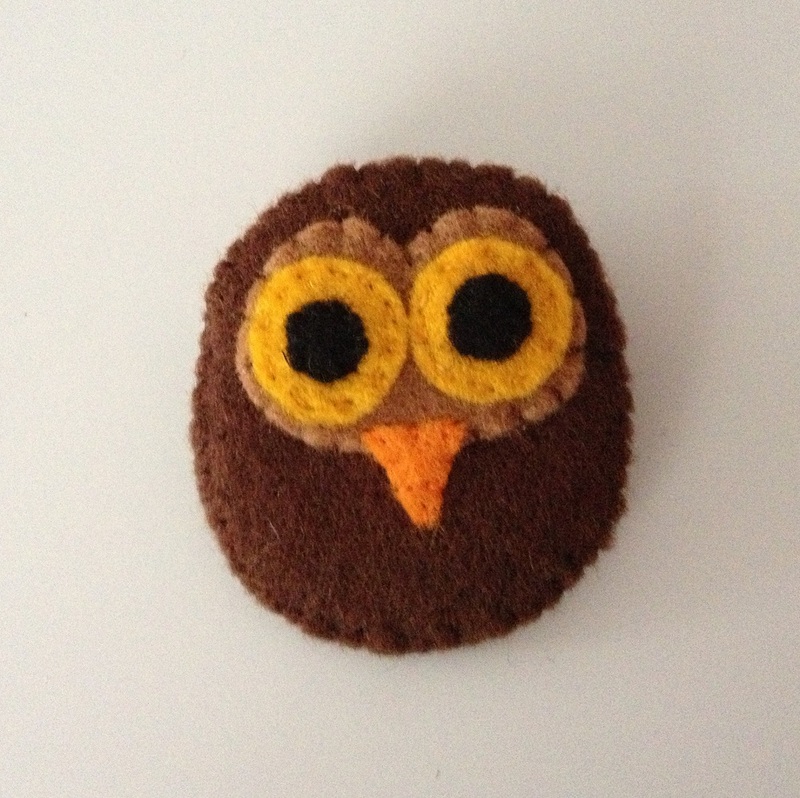 These would make great addition to an existing collection, the start of a new collection, or a great way to add some vintage to a child’s room. 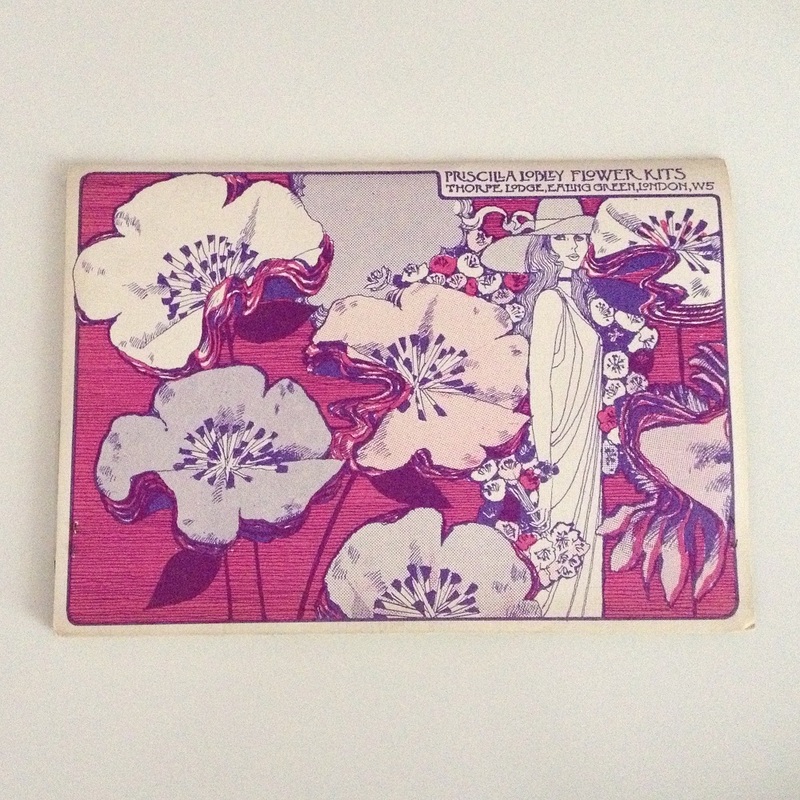 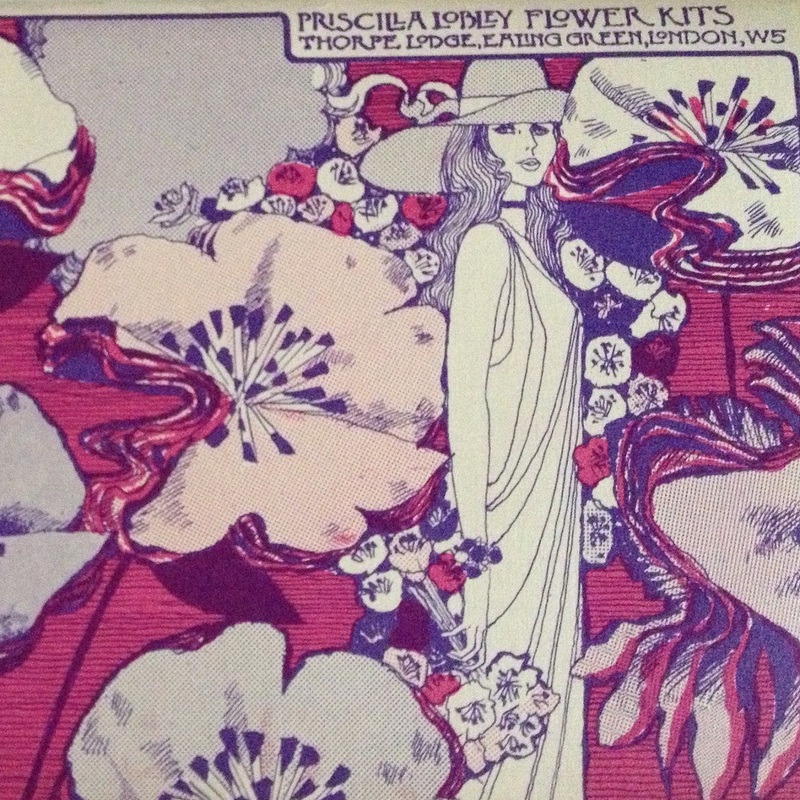 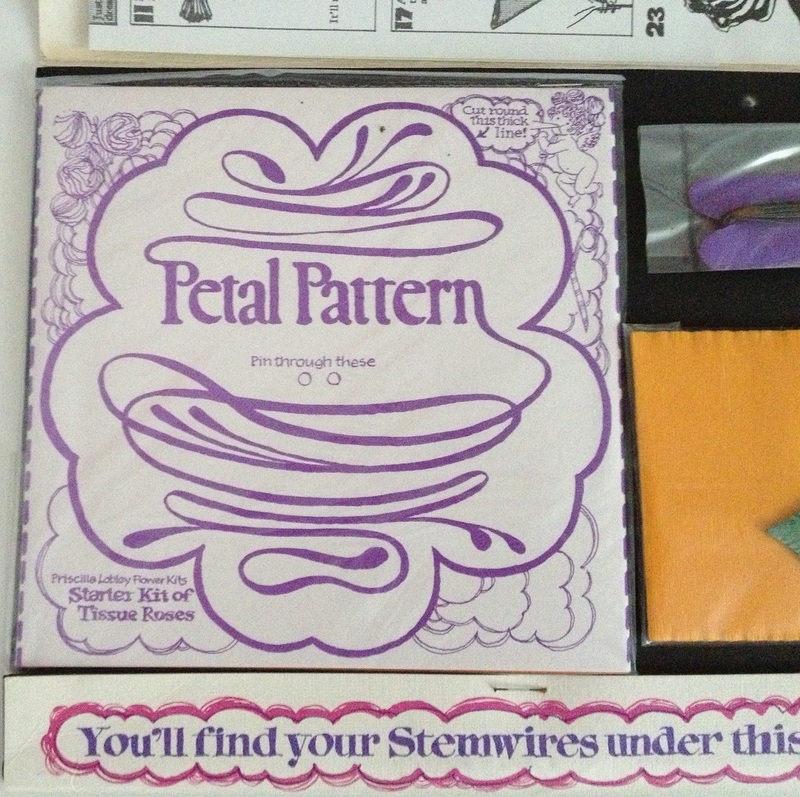 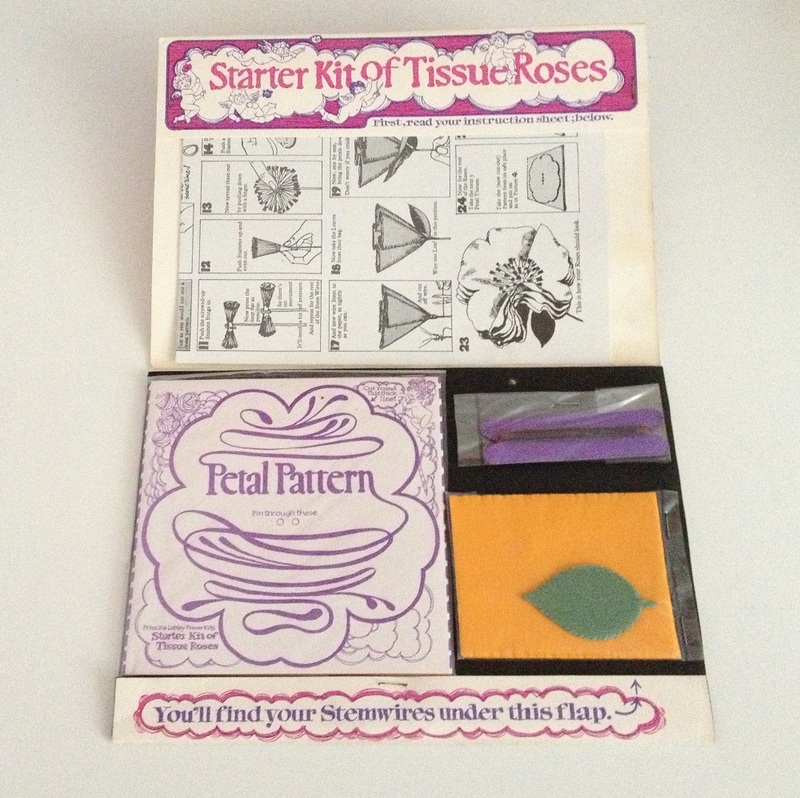 I love this paper flower kit from Priscilla Lobley, the 1970s illustrations are brilliant and I love anything purple. 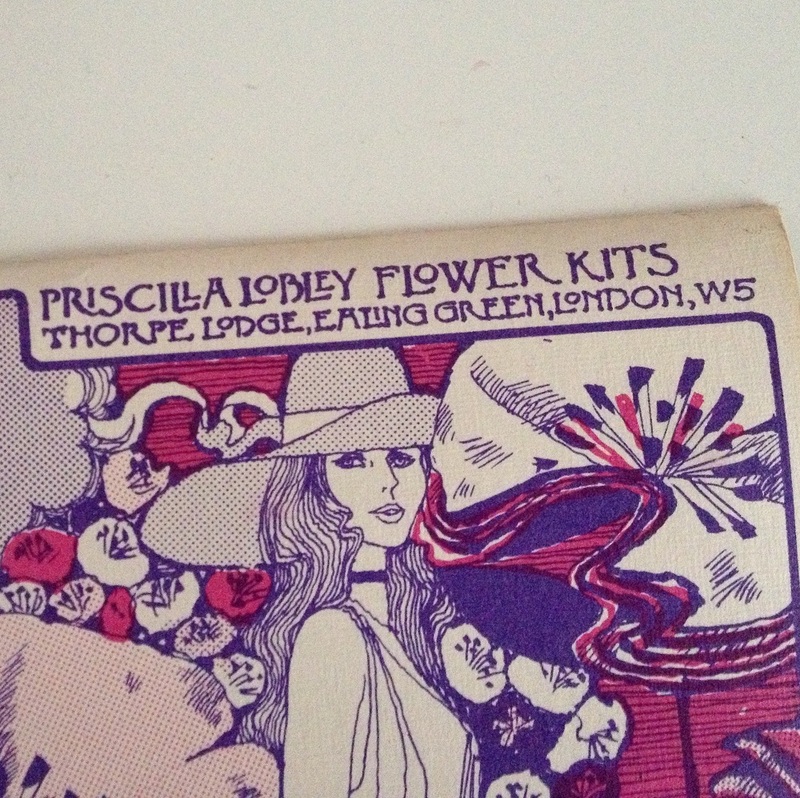 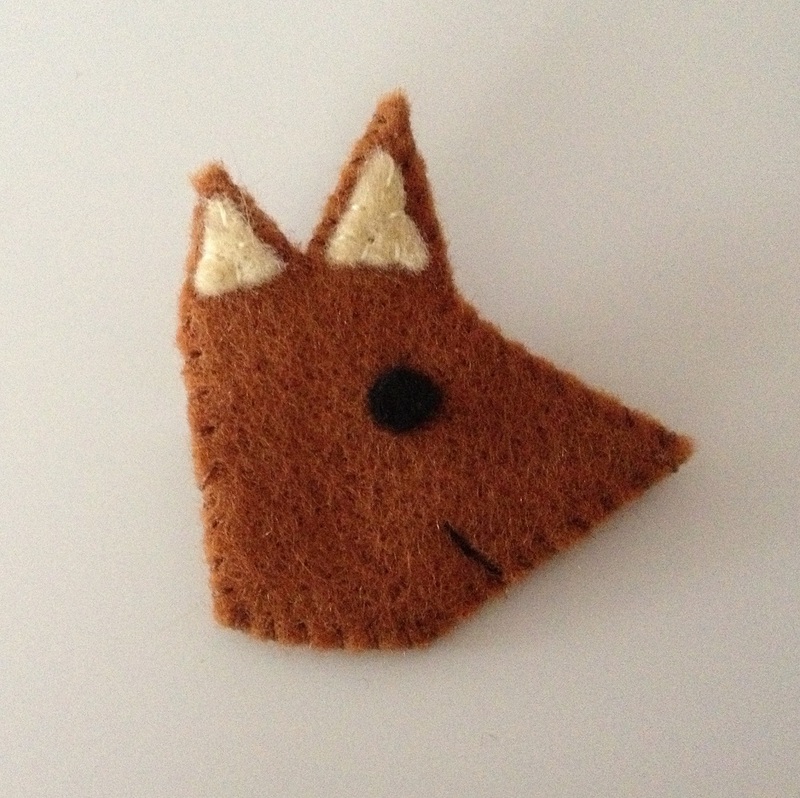 If you like this kit too it is available here. 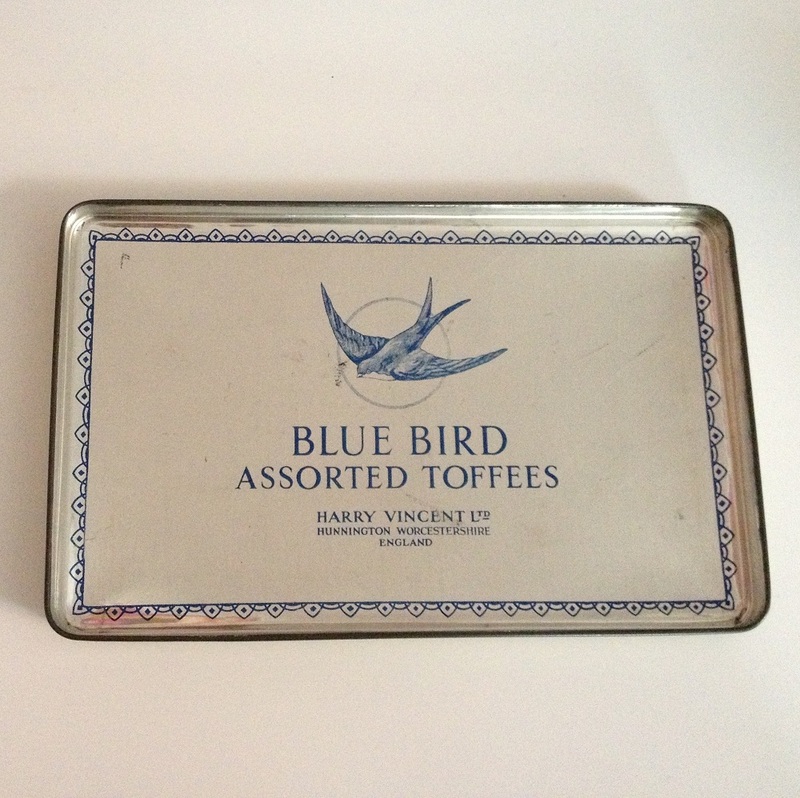 I love a vintage tin and have quite a collection of my own, they are so useful for storing little bits and pieces and look prettier than a cardboard box. 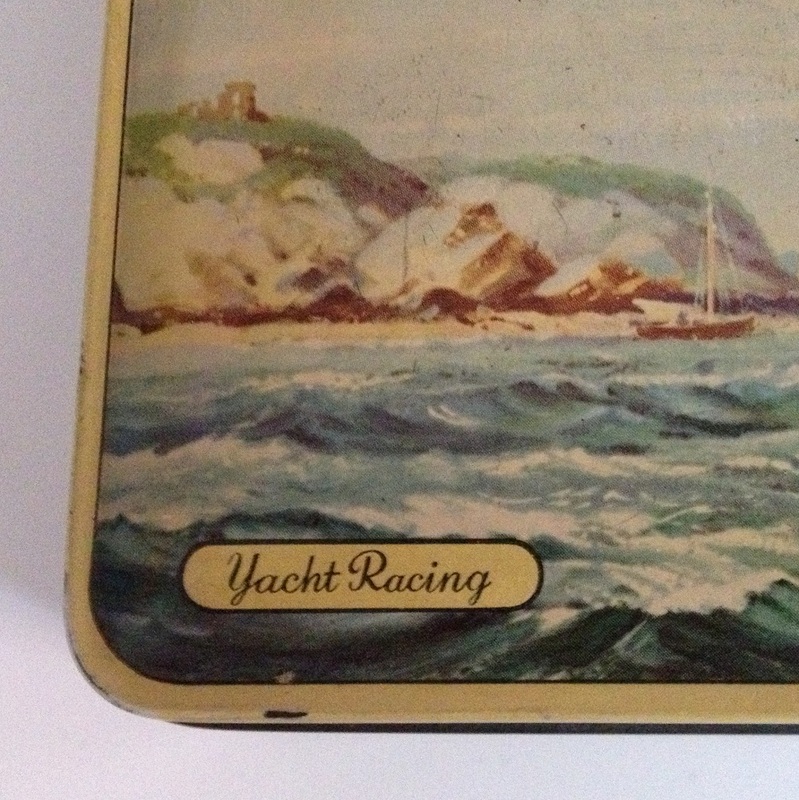 I was quite excited to find this Blue Bird Assorted Toffee tin featuring a Yacht Racing picture. 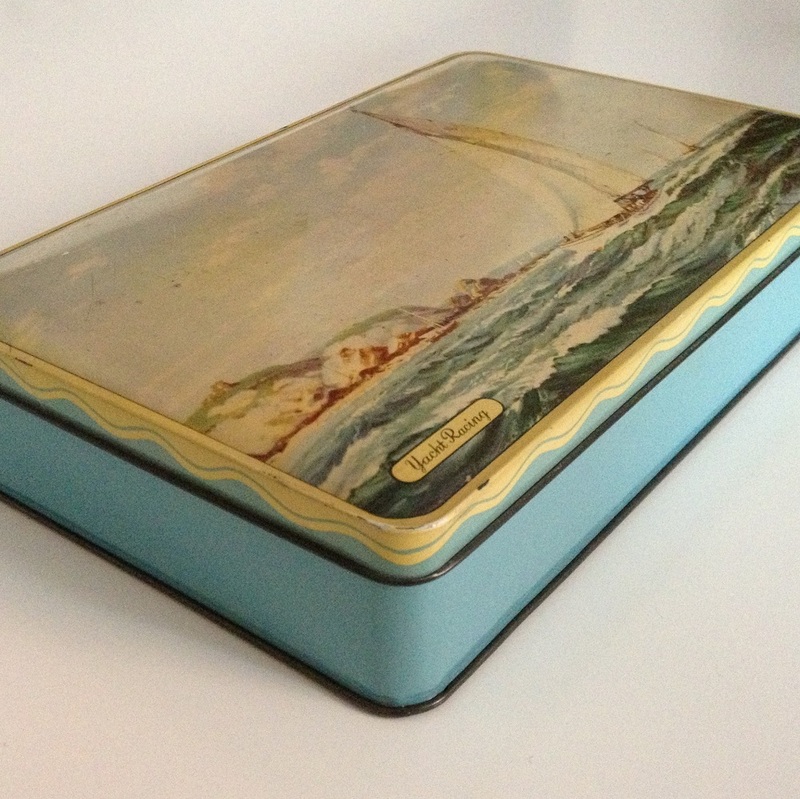 The bottom of the tin is a lovely blue colour and there is a lovely design inside the lid. 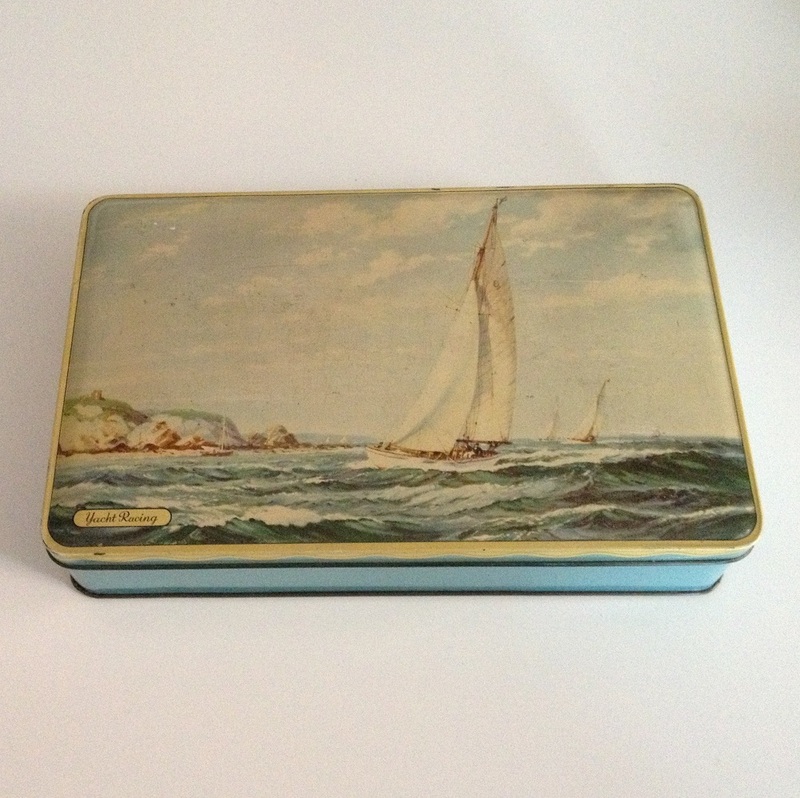 This tin is available here. 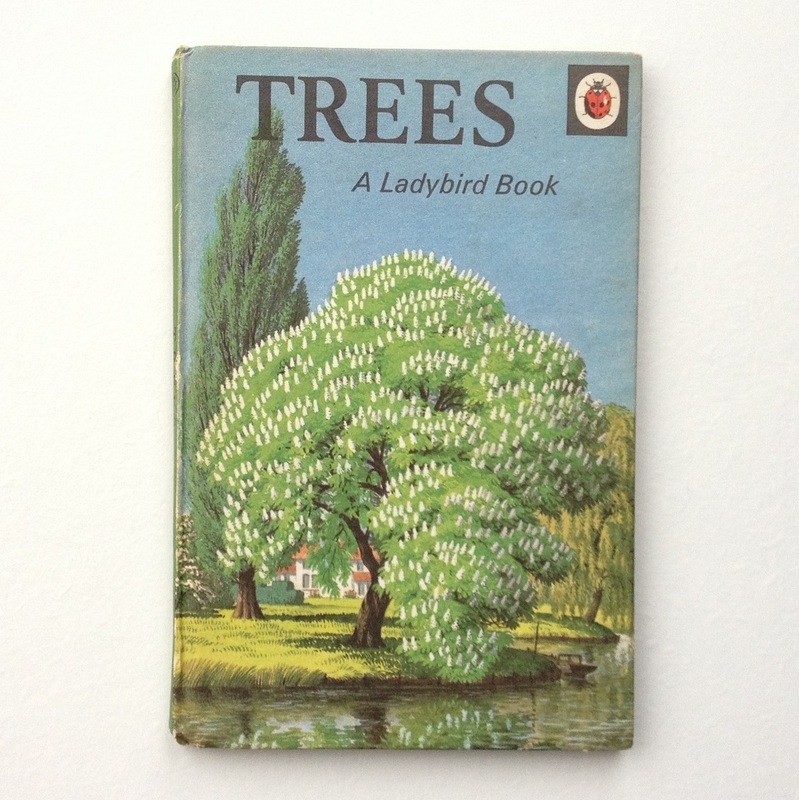 If you want to bring a bit of vintage into your home an easy way to do it is with some vintage books. 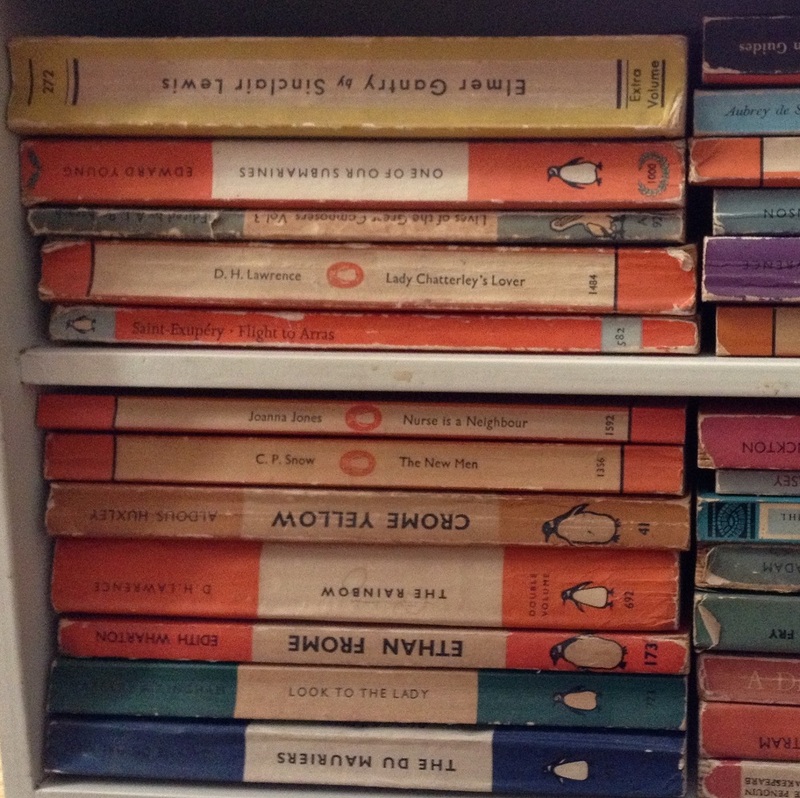 Lots of people choose Penguin Books like these that we have in our living room. 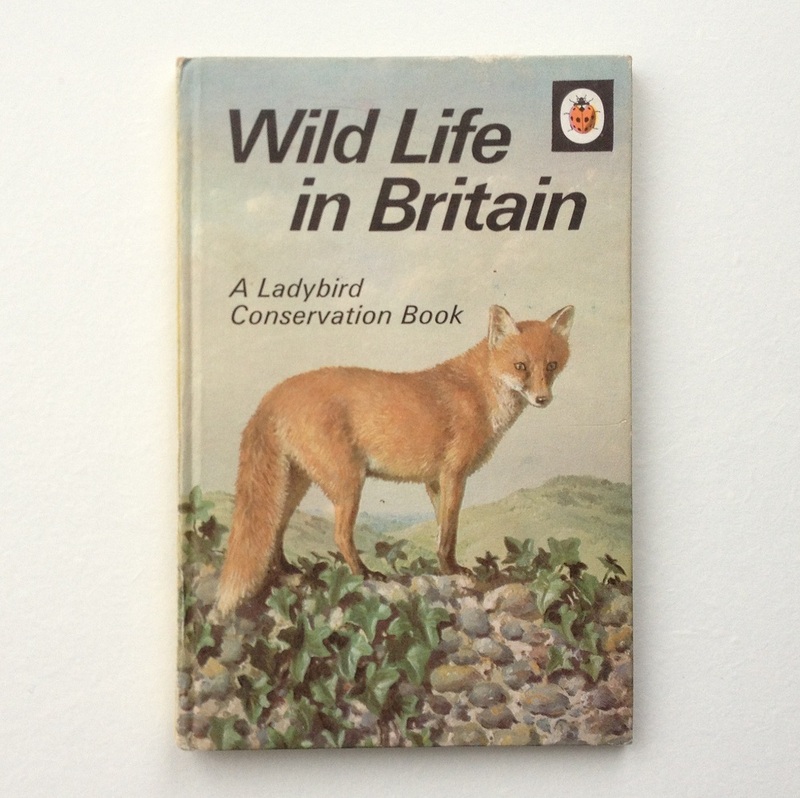 Another good choice is Ladybird Books, I have built up a large collection that we have on our landing. 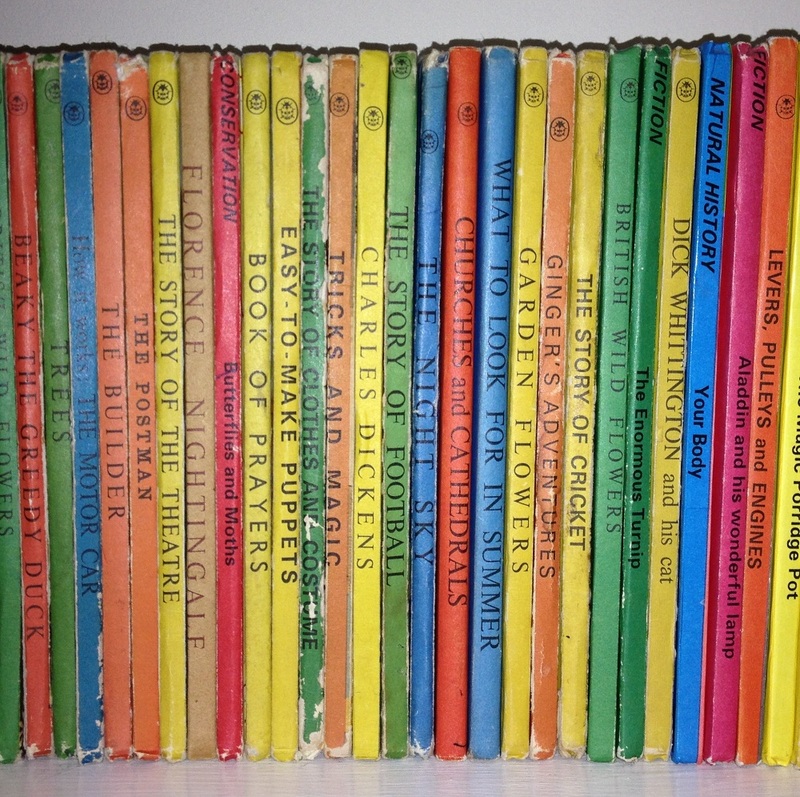 There are lots of other options such as these books published by The Reprint Society in the 1950s. 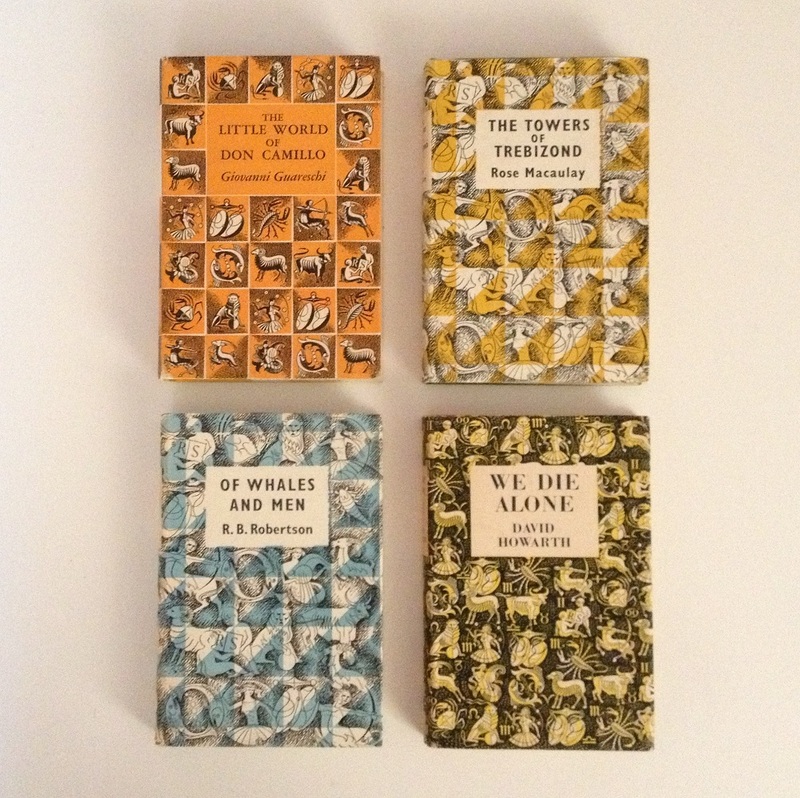 Look out for books with attractive covers that feature mid-century designs and colours.